While full-frame DSLRs are known to be large and chunky, the Canon EOS 6D is one of the smaller ones on the market. With its compact construction comes a lightweight build. Hence, many photographers take pride in using it because it won’t weigh down their hands too much as opposed to using beefier units. Aside from its lightweight and compact construction, it makes use of a 20-megapixel full-frame CMOS sensor, an ISO range of 100 to 25,600 (can be pushed further to make it into a 50 to 51,200 range), and it has 11 Auto Focus (AF) points. While it is a more modest version of the Canon 5D Mark III, photographers who are on a tighter budget can still produce amazing shots with this model. Now when you’re a landscape photographer with a Canon 6D, you might be perusing around the market for excellent wide-angle prime lenses. These lenses should help you get more of the scenery in each shot, and they should deliver great levels of sharpness across the entire frame. Looking at the market for the many different wide-angle prime lenses can be a tough task to deal with. Luckily, we’ve already listed the best wide-angle prime lenses for the Canon 6D. If you’re shooting wide open sceneries, landscapes, or any architecture, then you might be amazed by how well the Canon EF 14mm f/2.8L II USM can perform. It produces superb photos with plenty of detail. However, you need to be cautious as the front element has a bulbous nature, which means there’s no way to cover it with a traditional lens cap if you’re trying to shield it from the elements. Also, this is a “rectilinear” lens, which means it doesn’t provide a fisheye effect as compared to other wide-angle prime lenses on the market. Instead, the horizontal and vertical lines on the image will remain straight. So if you’re not a fan of distortion in your landscape photos, then this lens ought to be a game changer for your photography. 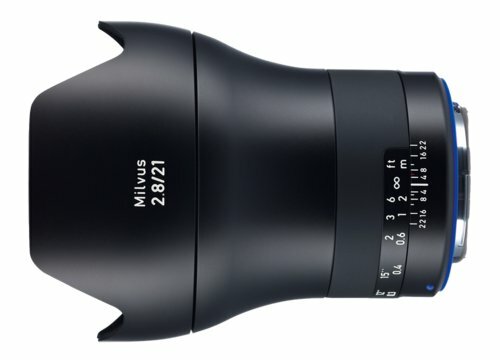 The Zeiss Milvus 21mm f/2.8 ZE is made by a well-known third-party lens maker, and this particular model makes its way into the list of excellent wide-angle prime lenses on the market. It is made with an enhanced Zeiss T* anti-reflective coating to minimize ghosting and flaring significantly. Therefore, you can shoot landscapes and sceneries in difficult lighting conditions, and you can still get the shot you desire. It is also made with a durable frosted and anodized metal lens barrel, so it can do more than just brush off the usual bumps and scrapes. The lens barrel is also weather-sealed to protect itself from moisture and dust. As for the images being shot with this lens attached to your Canon 6D, those are nothing short of amazing as photographs come out very sharp from corner-to-corner. 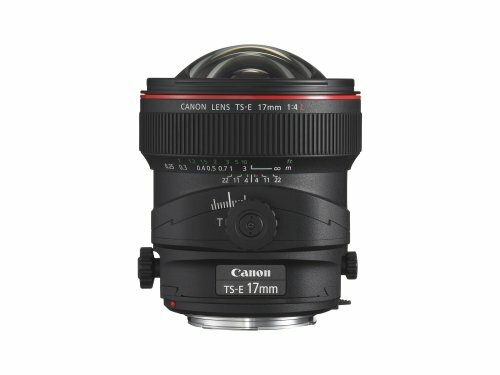 The Canon TS-E 17mm f/4L Tilt-Shift is advertised as the widest tilt-shift lens in the brand’s lineup of wide-angle prime lenses. It has a 17-millimeter focal length to help you get more out of the landscape, architecture, or scenery into the shot. It is also made with UD glass to help minimize, as well as compensate for chromatic aberrations. This particular lens is compatible with all Canon cameras, but using it on your Canon 6D can produce exemplary results. If you’re using it for its tilt-shift effect, then its circular aperture will assist you in creating beautiful blurred highlights while your main subjects remain as sharp as possible. However, like with other wide-angle prime lenses on the market, this model also has a bulbous front element. 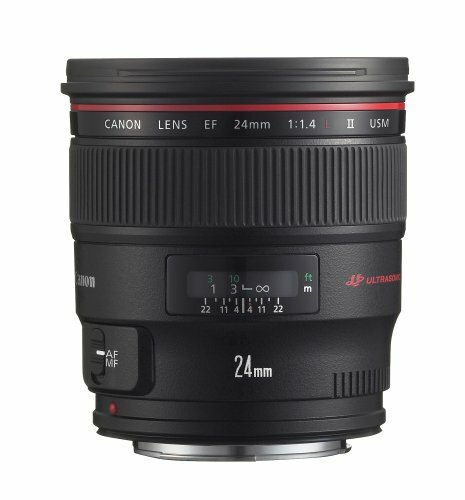 The Canon EF 24mm f/1.4L II USM produces tack-sharp images with an overall impressive performance across different settings when attached to your Canon 6D. It has a large aperture of f/1.4, which means you can use this in dimly lit situations. When you use it at its maximum aperture, subjects remain sharp while the background becomes a beautiful, creamy blur. It also has a very solid construction, and it even includes a rubber gasket. Also, if you have a 77 to 200-millimeter filter that’s just lying around, then you can use it on this lens as it has a 77-millimeter photo filter thread. Unlike some wide-angle prime lenses on the market, this particular model can also be ideal for day-to-day use and not just for landscape photography. If you’re having difficulty in searching for the right wide-angle prime lenses to add to your camera bag, then let items listed here be your guide to help you reach a sound judgment as to which lens to purchase next. 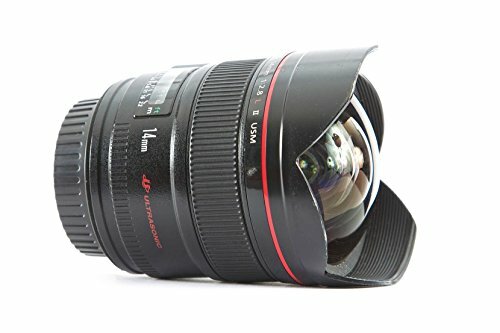 These lenses are placed on this list because of their incredible performance, excellent build quality, user-friendliness, and their overall features. You might even find your next wide-angle prime lenses to be one of the units found on this list. Just remember that some of these wide-angle prime lenses will bring you photos with the fisheye effect while others will be straight across the board. Choose your lens wisely to go with your style of photography.